Mark Marvel’s 80th anniversary with this celebration of ’70s Doctor Strange and Captain America! Each week, the Best of the Decade column honors Marvel’s 80th anniversary by spotlighting a single issue from the House of Ideas beloved by the best in the business! 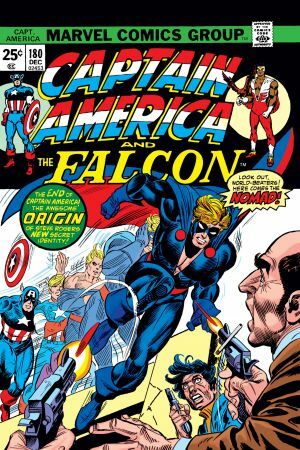 Before he was counted among the elite in the entertainment business, Reginald Hudlin would go to great lengths when it came to acquiring Marvel comics in the 1970s. Marvel.com: What are you first memories of reading Marvel comics? Reginald Hudlin: My older brothers were very serious comic collectors. I remember them coming home with the original runs of the Fantastic Four, Spider-Man, X-Men—everything. They had complete runs from the first issue. So I grew up reading comics voraciously. Finally I was old enough to buy my own books. My mom gave me enough money to buy one book. I bought a Monkees comic because I liked the TV show. My brothers were disgusted with me “wasting” money on a book like that. I could have bought one more book they couldn’t afford, but I stuck with my choice. But I quickly transitioned into [Super Hero] books, including Marvel. Marvel.com: What sets Marvel comics of the 1970s apart from other eras? Hudlin: I define ’70s Marvel as post Stan Lee and Jack Kirby. My impression [was] that Stan wasn’t writing monthly books anymore, he was now more management. And Kirby had left for DC. So the next generation of creative talent stepped up and took the line in a new direction, while continuing the Marvel tradition of reflecting the cultural trends of the era. Luke Cage had the Blaxploitation vibe. Shang-Chi and Iron Fist reflected the popularity of kung fu movies. Captain America’s SECRET EMPIRE[and] NOMAD storylines reflected the Watergate crisis. Also, characters finally started being based in other cities besides New York. Daredevil moved to San Francisco. Son of Satan was set in St. Louis! Marvel.com: In your mind, who were the most important and memorable characters in the evolution of black Super Heroes in 1970s Marvel? 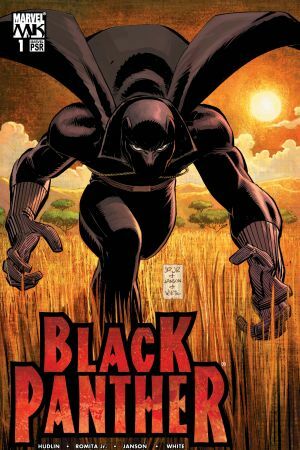 Hudlin: You are talking about Luke Cage, Storm, Blade, and Misty Knight—I had the four of them team up with Black Panther and Monica Rambeau in one of my BLACK PANTHER story arcs, but there’s more to be done with them individually and as a group. What I like about them is that they are all very different personalities and none of their backgrounds are alike, reflecting the diversity of black experiences in the real world. Marvel.com: What titles stood out to you as favorites from that decade? Hudlin: The AVENGERS/DEFENDERS WAR! DOCTOR STRANGE by Frank Brunner! Paul Gulacy on Shang-Chi! Jim Starlin’s original Thanos Saga and Adam Warlock! 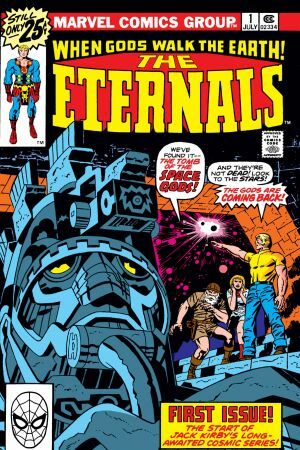 And of course, when Jack Kirby returned to Marvel and did THE ETERNALS and CAPTAIN AMERICA. What about the oversized magazines like SAVAGE SWORD OF CONAN with the Red Nails story by Barry Windsor-Smith? Or those beautiful painted covers by Neal Adams for INSIDE KUNG FU? Marvel.com: If you had to pick one story or issue from the ’70s as your absolute favorite, what would it be? Hudlin: Tough, tough choice but it would be between the original Silver Dagger story in DOCTOR STRANGE and the Madbomb story in CAPTAIN AMERICA. Those are two of the best comic book storylines ever. Marvel.com: What specifically makes them stand out? Hudlin: The Silver Dagger story featured a great villain with a smart plan. The hero tries to stop him and fails at every turn. The villain succeeds at his goal, but the conflict is resolved without a big final fight. A really smartly told tale. 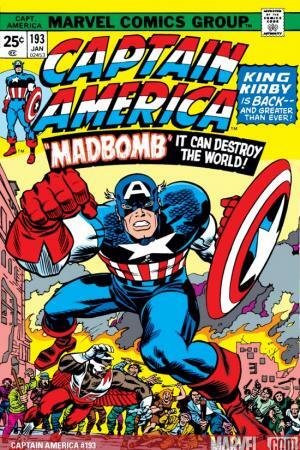 Madbomb is Kirby once again predicting the future with perfect accuracy. America’s elites decide to overthrow democracy and return to a monarchy. The method of achieving this is the Madbomb, which drives people crazy and they attack each other, allowing the wealthy and powerful to take total control.